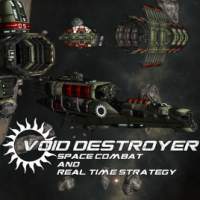 Early Access, Full Release Date: Jan 20/2015 This is an independent space combat simulator and real time strategy hybrid that's been 4 years developing. It's a single player game heavily influenced by classic space sims with personal touches as well as feedback from players. It adds the 3D tactical mode, which allows real time strategy genre like controls. In the outer edges of the Oort cloud, a Sun Gate links solar systems light years apart. The gate quickly becomes its own hub of activity as mining factions drag nearby asteroids into the gate's orbit. Hollowed asteroids become bases, homes to many. You take on the role of a retired General once again leading the charge. Build defenses, infrastructure and ships. Secure resources, find allies and conquer enemies. From the Tactical interface of the command ship you lead your forces and pilot craft. Fly any ship under your command - instantly change ships then directly pilot them. From drones to carriers, a huge variety of craft to pilot. This space sim uses a newtonian flight model designed to be have both enjoyable flight and combat in space. Command mode - become more of a commander and less of a pilot - intended for handling larger ships. Tactical mode - issue commands to ships via a real time strategy like interface on a fully 3D map, command console and your empire management tool. Control your bases production and economic output. Build platforms/stations for production and defense. Upgrade and repair your command ship. The command ship also features unique abilities to aid in combat. Research new technology. Battle Editor and Instant Action mode - an in game map editor to create custom maps and battle scenarios for you to enjoy quick or long battles and share them with friends. Story - dialog system, objectives, cutscenes and other story related elements. Crew control - your ships have crews, maybe you prefer them to do the flying for you. Combat happens in visual range, you won't be shooting at dots. It seeks to be among the most mod friendly games out there. Object characteristics, maps, missions, dialog, even the scenes that appear on the game's main menu are moddable. Modding can be accomplished via a process that is as easy as editing text files.